LOL! That is totally awesome! The only bummer is if you read the fine print there is no alcohol since it's cooked out in the making process. I have had Malbec ice cream it was good, but beer ice cream? I'd try it but I just don't see this working out. "Freedom has the scent like the top of a newborn baby's head." 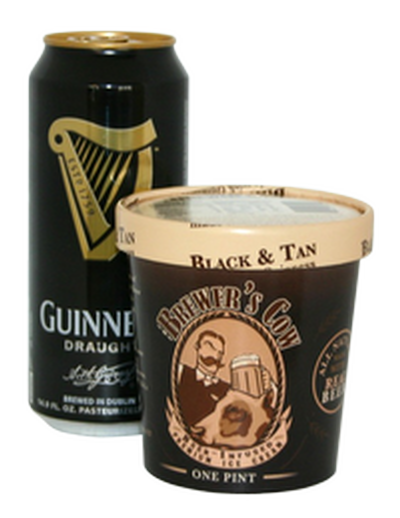 There was an ice cream shop in my hometown that made Guinness ice cream as one of the special flavors, usually around St. Patrick's day. It was different, but good.